Prior to Aaron Hernandez‘s suicide in 2017, the former New England Patriots tight end who was convicted of murder penned three suicide notes, CNN reports. 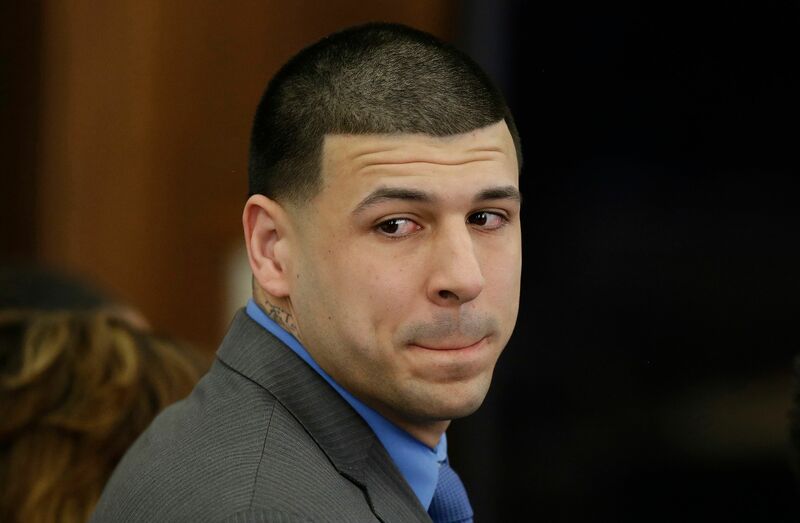 Hernandez’s final attorney, Jose Baez, included excerpts from the letters in his new book, Unnecessary Roughness: Inside the Trial and Final Days of Aaron Hernandez, which was published on Tuesday. In April 2017, Hernandez was acquitted for his alleged role in the drive-by shooting of Daniel de Abreu and Safiro Furtado. At the time, the former NFL star was already serving a life sentence without parole for the 2013 murder of his friend Odin Lloyd. Days after his acquittal he was found dead by suicide in his jail cell. According to the book, Hernandez’s notes were written to Baez, the athlete’s daughter, Avielle Jenkins-Hernandez, and Hernandez’s fiancée, Shayanna Jenkins. In his letter to his fiancée he calls her his soulmate and expresses his love for her. “Your characteristic is that of a true angel and the definition of God’s love! Tell my story fully but never think anything besides how much I love you. This was the supreme almightys plan, not mine!” Jenkins has disputed that Hernandez’s death was a suicide. In November 2017, seven months after Hernandez’s suicide, researchers at Boston University revealed he suffered from a “severe” case of chronic traumatic encephalopathy (CTE) — the neurodegenerative disease often found in individuals with a history of repetitive head trauma. Doctors discovered that Hernandez had Stage 3 CTE, something researchers had yet to see in a brain younger than 46 years old. Hernandez was 27 years old.